Is there anything that can’t be made better by combining it with something else? I must admit, I didn’t watch all the way to the end of The Fly, but I think that was the gist. Certainly in PC gaming, great moments have come about through crossover: the times when one protagonist has hopped into the world of another, or a pop star has taken over an expansion pack. Don’t remember that last one? 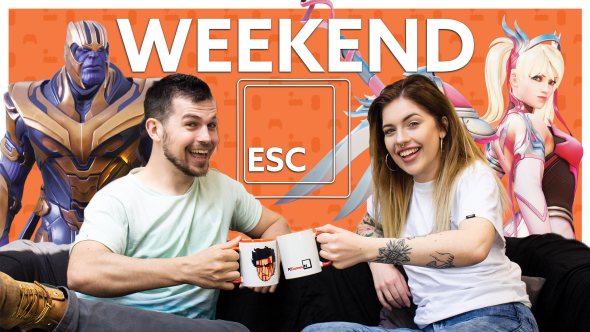 We’ll fill you in with the latest episode of the Weekend Esc. Today’s show is packed with news, like the Mercy skin in support of the Breast Cancer Research Foundation, and the alarming appearance of Thanos in Fortnite. We’ve also seen the unveiling of Rainbow Six Siege’s next operation, Para Bellum. That’s ‘Prepare for war’ in Latin, don’tcha know. Beyond that, there’s the show’s giveaway: a goodie bag for the wonderfully named Remothered, and the music of Team Fortress 2 on CD. CDs! You can’t get those on Steam. To enter, you’ll want to have a poke at the widget below. The more actions you complete, the higher your odds of winning. We ask for an email address so that we can contact you should you bag the prize. Enjoy the show, and have a very splicey weekend.